I'm not sure how much I could write about this topic, because the title pretty much says it all, so I'm gonna keep this short. A lot of people lack the feeling of "validation" these days, and the actions of those people are done with that one goal in mind - to receive validation from other people. That validation sometimes is necessary in order to boost one's ego. It's okay. We all have one, and we all need an "ego boost" once in a while. But the necessity for all the exterior validation can easily make you do all kind of stupid things hoping that people will like it. And maybe they will! But people change really quickly, and those who liked you yesterday may hate you tomorrow, which can be horrible for someone constantly looking for validation and "ego boosting". So, one of the things that should become a priority in case you're one of those people that like to be "validated" is knowing how to boost your own ego, how to validate yourself and how to "compliment" yourself just enough to not need those things from other people at all time. 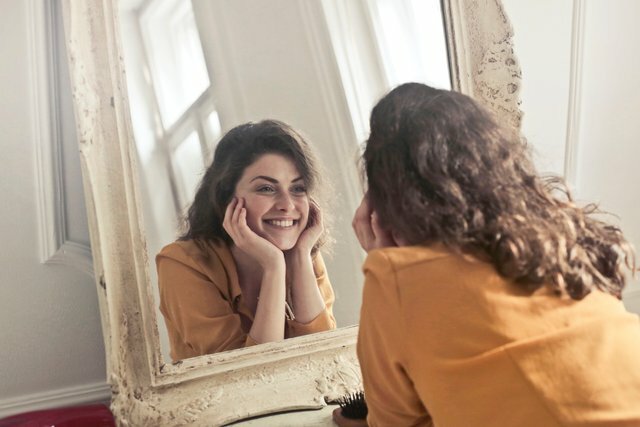 It may sound silly, or impossible, but knowing how to take care of your own ego and how to not constantly criticize yourself in order to appear modest is quite important. Sure, let others compliment you when they want to do it, but learn how to do it yourself, on your own, and how to be proud of your own work. But here's the catch - doing that, while good at times, could easily result in starting to think that you're actually an amazing person, better than anyone else, and that you deserve everything in this world. That's when your ego will become too big, and you'll start being a jerk to everyone around you. And that's exactly when you should "destroy" your own ego, which is something you should also know how to do. Well, "destroy" may be too much, but it makes things a little more dramatic. The word that may fit a lot better is... "decrement"? I'm not sure. The idea is that while knowing how to compliment yourself and how to boost your own ego by being proud of your own work and finding the good part in what you do is great, knowing how to remain modest and how to not have too big of an ego is also just as important. You should know how to control your ego and how to not become a jerk or an attention or/and validation seeker. Balance is, as with everything in life, key. Knowing yourself, what makes you happy, sad, proud or disappointed is really important. Learning how to appreciate your work and how to make yourself feel good about your achievements will give you that inner validation that you'll need, making you not need validation and compliments from everyone around you. But, at the same time, knowing how to harshly criticize yourself and how to keep your ego under control, this way not becoming one of those jerks who think they are the best in the world is also just as important. So, learn how to both "boost" your ego, and how to "destroy" it when needed, in order to keep a balance between needing and not needing external validation. Wieder einmal ein gelungener Beitrag. Die Über- oder Unterbewertung des eigenen Egos? Kann man das überhaupt selber entscheiden? Ich behaupte immer, ich habe ein starkes Selbstbewusstsein und meine Frau fragt dann immer wo ich mein übersteigertes Selbstbewusstsein hernehmen würde. Es gäbe schließlich keine Erklärung für meine Annahme. Wo setzen wir die Messlatte an? Frage an Alle: Wie schätzt Ihr Euch ein?